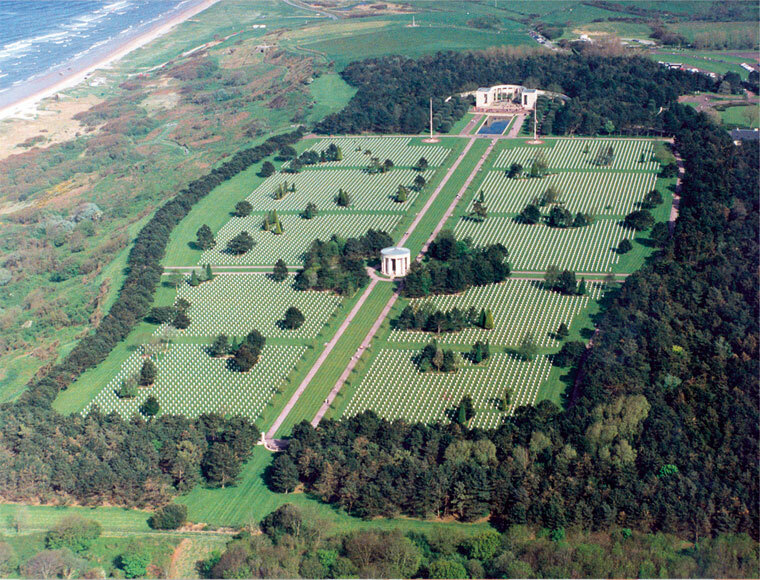 The American Cemetery at Colleville-sur-Mer is situated on the top of the cliff overlooking the famous Omaha Beach. The cemetery, 172 acres in extent, is one of fourteen American World War II Cemeteries constructed on foreign soil. Beyond the reception building, you will see a magnificent semi-circular memorial. Centered in the open arc of the memorial is a bronze statue which represents “The Spirit of American Youth rising from the waves”. In the extension of the ornamental lake there is a central path leading to the 10 grave plots where 9 387 soldiers are buried among which are 4 women and 307 unknown soldiers. The crosses are oriented Westwards, towards their native land. The precisely aligned headstones against the immaculately maintained emerald green lawn and the omnipresence of the sea convey an unforgettable feeling of peace and serenity. At the crossing of the main paths laid in the form of a Latin Cross, the Chapel shelters a black marble altar on which is the inscription : “I give them eternal life and they shall never perish”. In the garden of the missing located behind the memorial is a semi-circular wall containing the names of 1 557 missing in the region. The little haven of verdure invites you to meditation and memory. 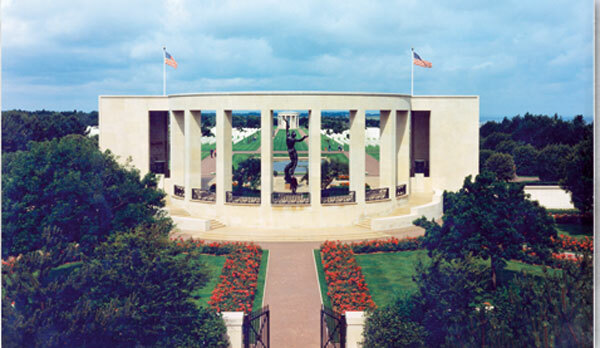 The Normandy American Cemetery is maintained by the American Battle Monuments Commission (ABMC), an independent agency created in 1923 by the Congress of the United States of America and attached to the executive branch of the US Gouvernment. 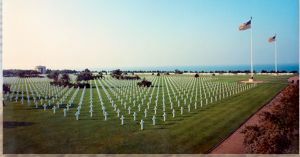 The Commission is responsible for commemorating the services and achievements of the United States Armed Forces through the execution of suitable memory shrines, for designing, constructing, operating and maintaining permanent US military cemeteries and memorials in foreign countries. No one enters the Colleville Cemetery by chance, it must be a voluntary process. The visitor prepares himself to penetrate with attention and contemplation a piece of United States in France.